The Diet Industry has undergone a huge change in the last couple of years. Companies that specialize in weight loss no longer want to be associated with “dieting.” Remember when Kentucky Fried Chicken changed their name to KFC? They did it to hide from the fact that most of their food is fried…a bad word for health-conscious people. Weight Watchers is now WW. Their new tagline is “Wellness that Works.” Forget your weight! Let’s just get healthy. Atkins and the rest have followed suit by also changing their branding to reflect a healthy lifestyle over dieting. While I think this is maybe a step in the right direction, it hides the fact that to lose weight, you need to cut calories. To cut calories, you need to track what you eat. WW assigns a point value to foods and lets you eat based on points instead of calories. Other plans have similar strategies. But no matter how you do it, you have to eat less to lose weight, and you might even have to cut calories further as the diet progress. A weight loss plateau is a stall in weight loss. This usually occurs after about 3-6 months of steady weight loss and can be quite frustrating to dieters. There are two schools of thought on what causes this plateau effect. Metabolic changes prevent further weight loss at the present calorie level. Not accurately tracking calories (“poor diet adherence”). Both ideas hold weight. In strictly controlled clinical diets there are often plateaus that must be dealt with by reducing calories. In the real-world, dieters often start to get lax in their eating after several months and “slip-up” in tracking calories. This makes breaking a stall much more difficult because now there are two problems. The appetite is a formidable foe and hard to ignore for long. The estimated calorie counts for weight loss are always based on body weight. After several months of losing weight, the calories needed for continued weight loss must be reduced. Most likely plateaus are caused by a combination of both lowered metabolism and not adhering well to the diet plan. To effectively break a stall, one must carefully assess their calorie needs based on body weight and activity levels AND accurately track calories for the remainder of the diet, reducing calories as weight drops. Plateaus are a fact of life for dieters. The savvy dieter will see the plateau as a way marker for change. Unfortunately, many dieters are unprepared mentally and the stall leads to the end of dieting and weight re-gain ensues. Weight loss diets need to be continually re-assessed to ensure the downward trajectory of weight loss. Eventually all diets should end in a plateau that signifies the desired weight has been reached. For some people, it’s just not meant to be. There are thousands upon thousands of overweight and obese people who’ve tried everything and cannot lose weight no matter what. Beyond eating “right,” exercising, sleeping well, de-stressing, and treating medical conditions that may cause weight gain there’s not a whole lot left to try. But before giving up completely have a long talk with your doctor and see what needs to be done. If you are obese and gaining, and your health is in rapid decline, then your physical and mental health depend on finding relief. Do not rule out psychiatry, weight loss surgery, or FDA-approved weight loss drugs. There is more than one way to skin a cat. Had a plateau of your own? How did you break it? Loved this post, Tim. I agree with all you say. In my own experience many years ago when losing my weight – after seven tries – plateaus didn’t stop me, because as a small female, I never expected it to be fast. I didn’t weigh more than once a month also, so there was usually something at the end of the month. It took a year to lose most of the weight. In maintenance however, I’ve found myself gaining – a little. I’m eating more, simple as that. Do I want to believe that and eat less? Don’t answer that. Dieting – which is exactly what it is – is hard and it’s for life. I love how you advise people not to ever give up. I have a friend, who years ago lost 100 pounds, as is back at WW – not because he gained it all back, but because he gained some, which a whole different thing. I also take issue with the disease model, calling obesity a disease, although I suppose it is. That designation takes the burden off the person, where it has to be. There is a tendency to relax into the sense that someone out there, doctor, therapist, will “heal me.” We have to summons the energy, the ideas, the will. Thanks, Tim! I have a good friend with an enviable figure, most of the time she eats pretty good without worrying much, but when her weight creeps above her sweet-spot, she works hard to get back in line. Her go-to, no-fail method is calorie counting. She weighs everything and sticks to something like 1500cal/day for a couple weeks until she’s back to where she wants to be. I think for most people who work and especially those that have kids, it’s unreasonable to think you can keep your weight perfectly stable. But I also think it’s unreasonable that people become very overweight, especially when it impacts their health negatively. There are a couple of diseases that result in rapid weight gain, but most people are just reluctant to put the effort into diet and exercise changes that would result in healthy weight loss. 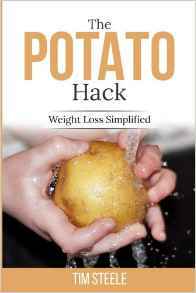 The Potato Hack is probably the only diet that can be done without counting calories, or actively limiting what you eat. Lots of diets promise “calories don’t matter,” but these diets usually fail the vast majority that try. WW is all about counting calories, but them hide them behind a point system. WW works, I’ve seen it time and again. But you have to really work at it. Hi Tim. I particularly liked your last para. So much depends on an individual’s starting point – being overweight is not, per se, a problem, but declining health clearly is. I’m currently reading (and about to re-read) Gene Eating, by Giles Yeo (Cambridge UK geneticist specialising in obesity) and The Truth about Fat, by Anthony Warner (aka the Angry Chef). Both books explore the complexity of weight/health, the dangers of focusing on diets/weight and both support the importance of society recognising that the current tyranny of thinness as an ideal is damaging and counterproductive. There is also intriguing info on the role of the brain/genes/a whole myriad of hormone interactions + undermining of current thinking on GI/GL/insulin spikes and the demonising of carbs. Yes, we’ve all become really messed up in the head. Countless addictive snacks all around and the media insists all men must have a 6-pack and all women must look like Jennifer Lopez. Eating right and controlling weight is very individualistic, but staying away from highly processed foods and not overeating are the first steps. I think that carbs and fat can be tweaked a bit to get some desired results, but the best health outcomes will always happen with a diet that contains lots of fruit, veggies, seeds, tubers, whole grains, and animal products. The primary focus needs to be health, especially ensuring the basics are covered, i.e. blood pressure, cholesterol, triglycerides, and blood sugar. Most people who have a BMI in the “normal” zone and a normal waist measurement (35″ for women, 40″ for men) also have normal BP, BG, cholesterol, and trigs. People can be slightly overweight and have good health markers…no problem with that. But rarely do people who are obese enjoy good health. Then there are people who are at a normal weight and waist with terrible blood pressure, etc. If you look at these folks, guaranteed they are eating a totally crap diet and don’t exercise. It’s just genetics that keeps them thin. I’m curious how the authors deal with “the gut” in the books you mention. 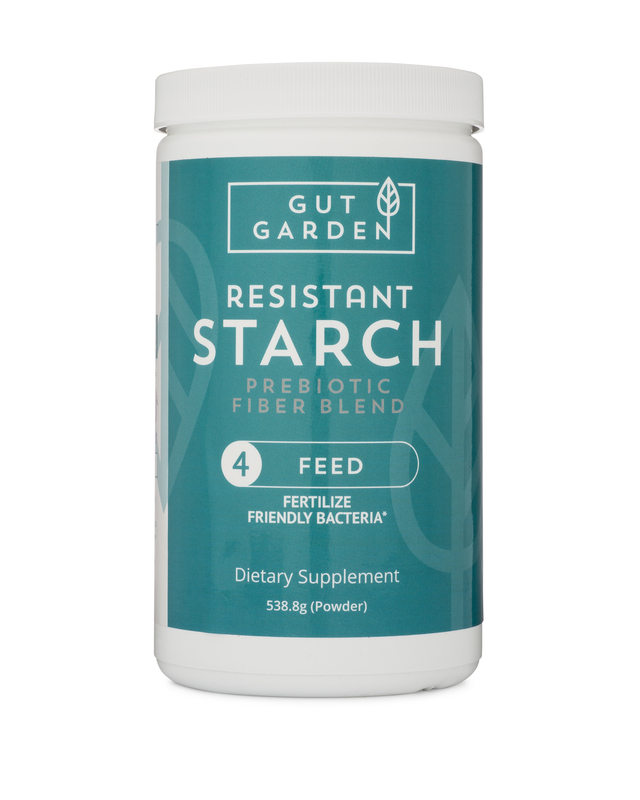 More and more I’m seeing people wising up that the gut is a very important piece of the puzzle. Tim, great to find your new blog — It’ll wreck the rest of my week as I dig through the wealth of info here. I hadn’t stopped by your blog for a while and didn’t realise you were writing a new book. It sounds like it will be really good judging by the extracts you’ve put up here.The world needs some of your common sense.